Cue the theme from Jaws. 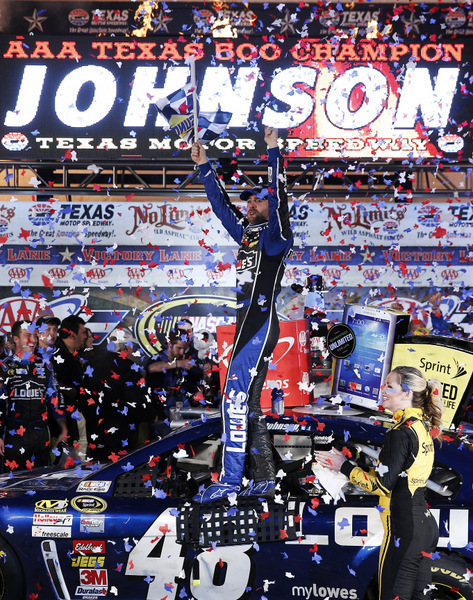 Jimmie Johnson ripped the field Sunday to win the Texas 500 and take a seven-point lead over Matt Kenseth in what is now just a two-man battle for the NASCAR Sprint Cup championship with only two races to go, at Phoenix and at Homestead, Fla.
Johnson was so dominant it was like he had some hyper-drive under the hood. No one could run with him. Johnson led 255 of the 334 laps. And this on a day when tires were, as expected, a major issue. 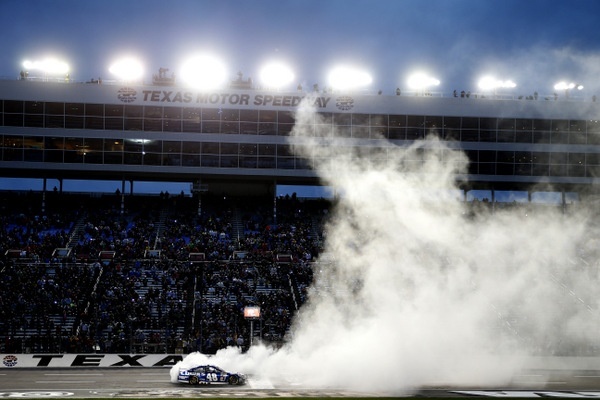 For Rick Hendrick, Johnson's team owner, the day-night race was a very good one: three of his four cars finished in the top five, with Dale Earnhardt Jr. running second and Kasey Kahne fifth. Unfortunately for Hendrick the fourth man, Jeff Gordon, blew a left-front tire and finished 38th, behind the wall. That doomed Gordon in his bid for the title. His win last weekend at Martinsville had him with 27 points of the lead, with an outside shot at the title. 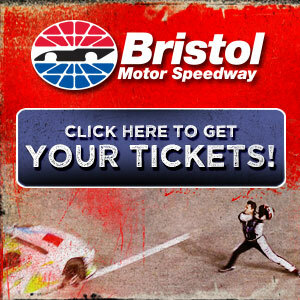 Kyle Busch also blew a tire, a right-front, and hit the wall early. But crew chief Dave Rogers pulled off some amazing pit repairs to get Busch back into contention. Busch charged back to third....when he was called for speeding on pit road, with a pass-through penalty that took him out of the fight for the win and out of the title hunt. He finished 13th. Kenseth, who has the best overall finishing average the past eight years at this 1-1/2-mile track, concedes he was outclassed by Johnson all weekend. Still Kenseth was running top-five, even as high as second, when he too was caught for speeding on pit road. That pass-through penalty appeared to doom Kenseth's title hopes, but he charged back into the top five late in the day. Kenseth, of the pit road mistake, said "We were just being too aggressive. "But Jimmie had us from the time they unloaded. "We didn't really need that penalty....but at the end of the day I don't know how much it really affected our finish. "If I hadn't messed up, maybe we could have finished second." "Jimmie was so fast it was unbelievable," Joey Logano said after posting Ford's best finish of the day, third. Much has been made of Ford's relative lack of success this season. Then Carl Edwards and Brad Keselowski put their Fords on the front row for the start of the year's 34th event. However Edwards lost his motor midway and finished 37th, after leading 38 laps. Keselowski led 30 laps and finished sixth. But the sport's defending champion didn't make the playoffs so won't have a shot at repeating. The tires were questionable after a big test here last week by six teams, with many of those drivers simply wearing the tires down to the cords in less than 50 miles. Even after this very abrasive racing surface 'rubbered up,' it was still wearing tires. Gordon, Denny Hamlin, Busch and Juan Pablo Montoya all shredded tires. One aggravating factor would appear to be the speeds here with these sleek, new 2013 model stockers. Edwards' pole speed was 196 mph, and that's well over five miles an hour faster than the pole here a year ago. Goodyear tested this particular right-side/left-side setup in October 2012. The left-sides have been used here by Cup, Nationwide and Truck teams since 2011; the right-sides, new here for Cup this spring, have been used here by Truck teams since 2011. Why Goodyear didn't bring some of its new 'hybrid' tires seems curious. 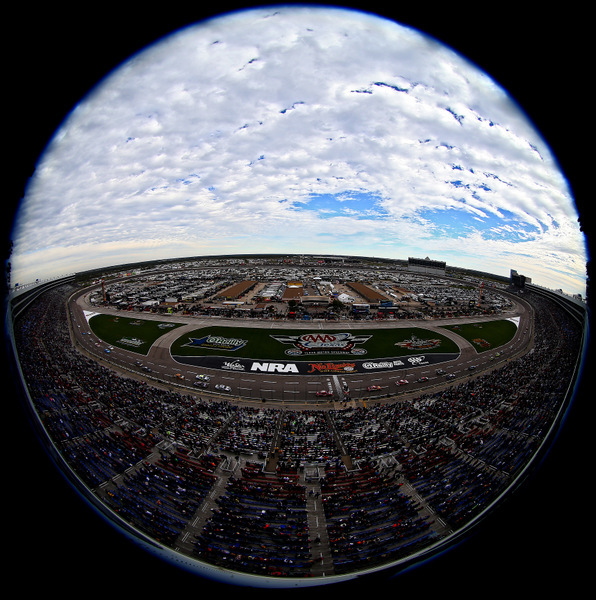 Goodyear introduced that novel right-side tire at Atlanta Motor Speedway in the Labor Day 500; and it ran a similar hybrid right-side at Kansas Speedway last month. However the Atlanta tire probably wouldn't have worked that well here, since the Atlanta was only 189 mph. And the Kansas tire probably wouldn't have worked here either, because this is a very abrasive track that chews up tires and thus requires a much thicker gauge tread than the Kansas track. Still, it is not that clear why Goodyear didn't hold a tire test here before this event, given the importance of this race in the playoffs. And it thus becomes the second time in this chase that tires have been a significant issue. At Kansas the tires were so rock-hard -- though durable -- that drivers complained vigorously about no grip. Race ? What Race ? Submitted by Racerbob on Sun 11/03/2013 - 17:59. As a long time race fan, I am totally dismayed by what I watched today. Racing ? Where ? NASCAR has a huge problem going on here. I watch races to see racing there was none of that going on today. The empty seats at the racing venues speak louder than words. NASCAR had better wake up and smell the coffee. They are losing fans left and right. The product on the track is no good. It is BORING. I have been following motorsports for 51 years now. This sport has sunk to a new low. End of rant. Submitted by Clem Zahrobsky on Mon 11/04/2013 - 19:27.